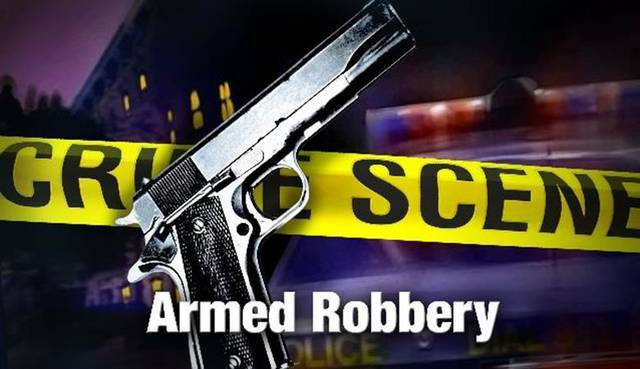 BELLVILLE — Two Mansfield men are in custody following a reported armed robbery of the Love’s Travel Stop early Sunday morning. The two — Bryant N. Burchett, 29, and Brent A. Denny, 34, both of Mansfield — are in the Richland County jail. They have been charged with aggravated armed robbery. They were apprehended following a high speed pursuit, a crash, an escape on foot and a manhunt that lasted about 4½ hours. No one was injured during the incident, either at the travel stop or during the car pursuit and manhunt. According to a news release from the Bellville Police Department, at about 4:06 a.m., Bellville Officer Tackett Greg Tackett, while on patrol, observed a Dodge truck exit the Love’s Travel Stop at a high rate of speed. The truck was westbound on State Route 97. A short pursuit was initiated and proceeded North on Middle Bellville Road. It was during this vehicle pursuit, that officer Tackett learned an armed robbery had just occurred at the travel stop. The driver of the Dodge truck lost control of the vehicle north of Vanderbilt Road and went off the right side of the road. At that time, the driver bailed and fled on foot into the woods. A passenger in the vehicle was taken into custody at that scene. A search was conducted in the area by the Bellville Police Department, with the assistance of Mansfield and Lexington police, the Richland County Sheriff’s Office and the Ohio Highway Patrol. At approximately 8:50 p.m., a caller reported a suspicious male on Orchard Park Road and the second suspect was taken into custody, without incident. Evidence at the scene of the crash connected the suspects with the robbery of Love’s Travel Stop. According to the news release, employees of Love’s reported a single white male entered the store, asked for change, and then brandished a chrome handgun and made off with the cash drawer. An undetermined amount of money was taken and no employees were harmed in the incident. Burchett and Denny are being held in the Richland County jail pending court appearances. The case will be forwarded to the Richland County Prosecutors Office for review and the the possible filing of additional charges.